For the first time ever, the Department of Justice (DOJ) has sent a letter to a state attorney general, stating that judges generally may not order people off addiction medications such as methadone or buprenorphine to get custody of their children—or for any other reasons. The Legal Action Center publicized the letter, which was issued in October 2017 by the Acting U.S. Attorney for the Southern District of New York to the state’s attorney general, explaining that prohibiting the use of medication-assisted treatment (MAT) may be a violation of the Americans with Disabilities Act (ADA). In December, Acting Assistant Attorney General John Gore of the Civil Rights Division announced that the DOJ will work with United States attorneys around the country to eliminate discriminatory barriers to treatment for people with opioid and other substance use disorders. This initiative, according to the Legal Action Center, is a “game changer” in reversing discrimination that has been a barrier to MAT, even in the middle of an opioid epidemic. 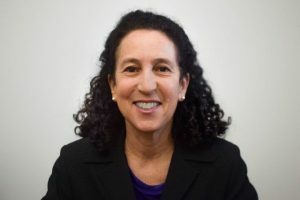 We talked with Sally Friedman, legal director for the Legal Action Center, about the new initiative. The DOJ letter was written in reference to a judge in Sullivan County, New York, who had told a methadone patient and a buprenorphine patient that they had to stop treatment. The condition was imposed in one case to regain custody of her child; in the other to successfully complete probation (that woman also had a child, and was hoping ultimately to get custody). The Legal Action Center had heard that the judge routinely prohibited MAT. Ms. Friedman brought the matter to the attention of Preet Bharara when he was still U.S. Attorney for the Southern District of New York. Mr. Bharara was speaking at an opioid forum at a law school. “We explained to him why we thought this violated the ADA, and shared our report on this topic,” Ms. Friedman told AT Forum. This led, ultimately, to the letter by the DOJ. Ms. Friedman also brought many cases to the attention of DOJ’s Washington D.C. office, which set in motion steps culminating in the DOJ Opioid Initiative. 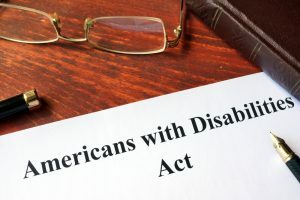 It’s urgent for lawyers to raise ADA objections when their clients are being denied access to MAT, said Ms. Friedman. “Sadly, many people don’t know about these protections,” she said of the ADA, MAT, and the courts. “Individuals who receive MAT don’t know, their treatment providers don’t know. Nor do public defense lawyers, or prosecutors. As for judges, many don’t even think of addiction as a disability. Individuals prohibited access to MAT should file complaints with the DOJ. So should their treating providers,” said Ms. Friedman. Here’s what OTPs should do if one of their patients is told by a court to stop taking medication. File a complaint with the DOJ and advise their patients to file a complaint, using the online complaint form at https://www.ada.gov/filing_complaint.htm. “The more they hear from people, the more likely they are to do something,” said Ms. Friedman. Write a convincing letter about why MAT is clinically appropriate for your patient and why discontinuing MAT is harmful. “The courts need detailed, objective evidence on why the use of MAT is appropriate,” said Ms. Friedman. A sample letter is available on the Legal Action Center’s website at www.lac.org/MAT-advocacy. Fill out an online complaint form on the Legal Action Center’s website at www.lac.org/MAT-advocacy so that the Center can track these complaints and offer back-up assistance. Use the tools in Legal Action Center’s MAT Advocacy Toolkit, including Advocating for Your Recovery. All are available at lac.org/MAT-advocacy. Connect with local regulators, elected officials, and advocates and offer to educate court officials about MAT and discuss their concerns.